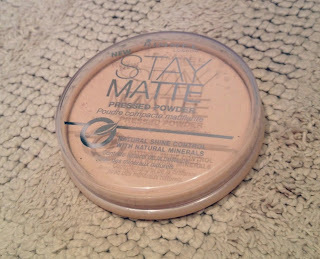 Recently, I was rummaging through my makeup drawer trying to find something when I came across an unopened pan of Rimmel Stay Matte Pressed Powder. I have no idea when I bought it, and why I never used it, but I was excited to give it a try. I love pressed powders, and I use them all the time - either to set my foundation or concealer, or just on its own. This powder is a great one! 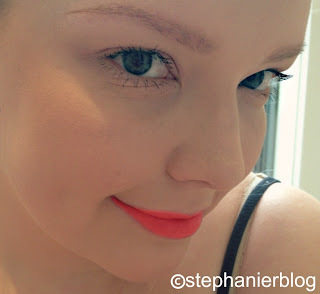 It goes on seamlessly and is buildable, which I love. I've been applying it with a brush and it's so great as a setting powder over my Rimmel Wake Me Up Foundation. If I'm having a "no makeup, makeup" kind of day, I just put it straight over my moisturiser and buff it in until I'm happy with it. It stays on great and really does give a nice matte effect. I find if I apply it in the morning, I only need to reapply to my oily areas once during the day to keep me shine free. It's great isn't it, Heather? Thanks for your recommendation Steph and mentioning the other products you use here. There's so many foundations, concealers, pressed powers etc on the market that I find it overwhelming. Not to mention stressful trying to work out what shades of these to buy, what combo to wear them in and whether or not they're going to make you look like an Oompa Loompa or a ghost! But I'll have to check out these products and just choose the colour(s) best suited to me.